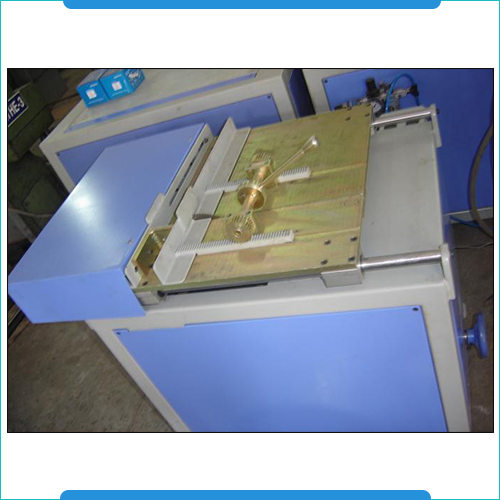 Pleat Edge Cutting Machine find application in the filter manufacturing industry. These are available in maximum cutting widths of 1000mm and are introduced with hardened and ground slitting blades that make these machines efficiently handling the operations with minimum cutting depth of 20mm and maximum cutting depth of 60mm. Further, these also feature guides for precision movement of cutters as well as dual pneumatic and foot pedal operation modes. These also come with handle wheel for easy, quick and precision adjustments of height. Maximum width of cutting 1000mm. Minimum depth of cutting 20mm. Maximum depth of cutting 60mm. Hardened and ground slitting blades. Guide for the movement of cutter. Handle wheel for the adjustment of height. 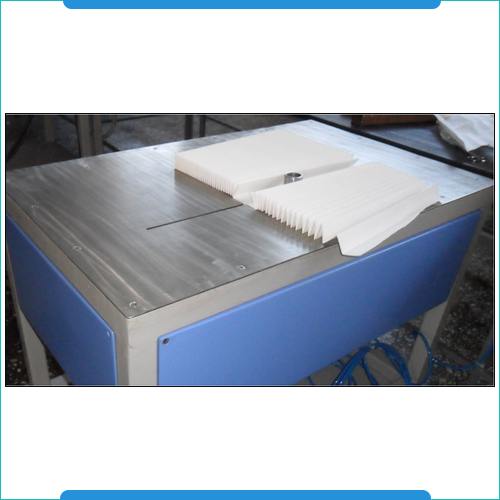 The Pack Cutting Machines deliver efficient and precision performances and are available in maximum pack width of 900mm, maximum slitting width of 450mm and maximum slitting pleat depth of 50mm.These machines also come with pack gripping unit width of 380mm with the facility to adjust as per pleat depth and pack gripping unit. Maximum width of pack 900mm. Maximum width of slitting 450mm. Pack gripping unit width 380mm. Slitting maximum pleat depth 50mm. Facility to adjust as per pleat depth. Facility to adjust the pack gripping unit. 3Ph. 2.0 HP motor ,440V, 50Hz.